After participating at the Hong Kong Forum, the delegation of Gothenburg Executive MBA alumni made a trip to Changsha in the Chinese province of Hunan. The Hunan province has nearly 70 million inhabitants out of which about 7 million live in the capital city Changsha. 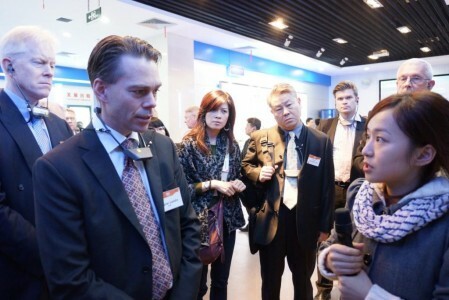 The stay in Changsha included visits to several Chinese companies as well as science parks and industrial development zones. The Broad Group was established in 1988 and is the world’s largest absorption air-conditioning manufacturing enterprise. Its products are sold in more than 30 countries and its market share is the largest in countries such as China, the United States, Germany, Spain and France. Broad group is also a supplier to the central cooling system under construction in Gothenburg, Sweden. Executive MBA Alumni and members of various Hong Kong Associations from across the globe visiting Broad Group, Changsha. Apart from air conditioning, Broad Group also designs and constructs energy efficient buildings (Broad Sustainable Building). The company is famous for building houses at amazing speed, such as a 30-storey tall hotel in 360 hours (see video below). The next goal is to build the tallest building in the world (220 stories, 838 meters). This building, Sky City, will be completed in only a few months, according to Broad Group. 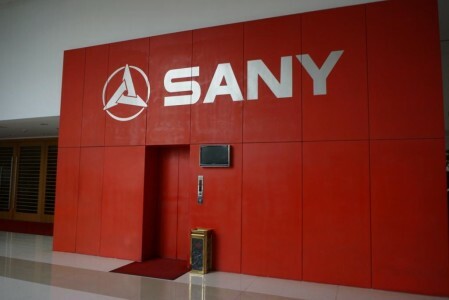 Sany Group is a global company with five industrial parks in China, four R&D and manufacturing bases in the United States, Germany, India and Brazil, and 21 sales companies around the world. It is the sixth-largest heavy-equipment manufacturer in the world, and the first in its industry in China to enter the FT Global 500 and the Forbes Global 2000 rankings. The company produces heavy equipment such as excavators, crawler cranes and road construction machinery and has developed an 86-metre concrete pump truck with the longest boom in the world. Wasion Group is a supplier of energy metering products and solutions for electricity, water and gas. The company has been listed at the Hong Kong Stock & Exchange Market since 2005. 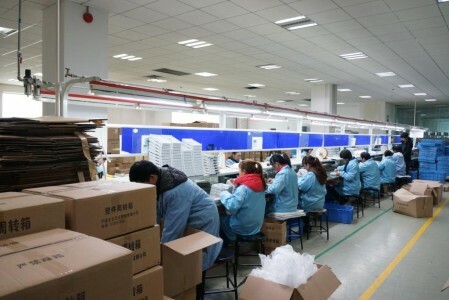 With 2,500 employees and net sales of 1.5 billion RMB (1.6 billion SEK), it is the first Chinese mainland energy-metering and energy-efficiency management group listed across the border and outside the Chinese mainland. 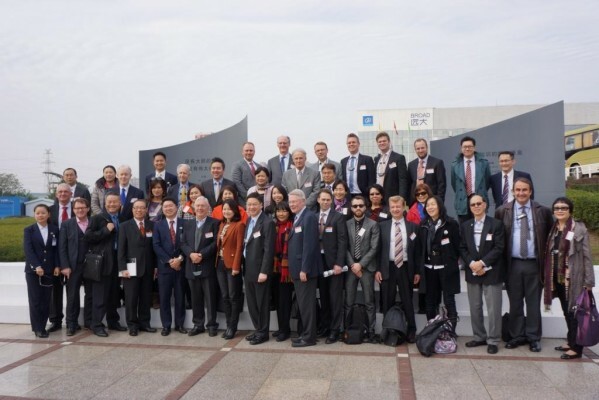 The delegation of Executive Alumni and several international Hong Kong Associations took a tour around the facilities and visited a factory that produces micro chips. GAC Fiat Automobiles Co., Ltd. is a 50:50 joint-venture between GAC Group (Guangzhou Automobile Group) and Fiat. 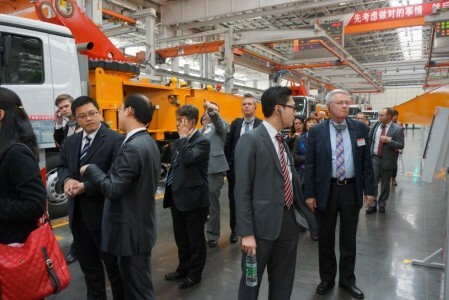 The company was founded in March 2010 and the Changsha assembly plant was opened in June 2012. The company will have an initial annual production capacity of 140,000 cars with the Fiat Viaggio five-door sedan as the first model to be produced. The visit to the assembly plant showed that the company has access to state-of-the-art production equipment. 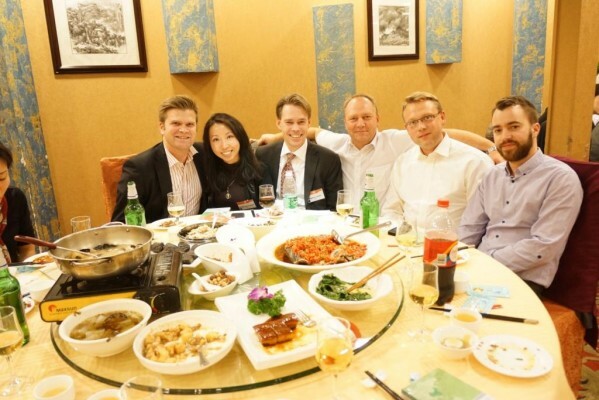 The Executive MBA alumni trip 2012 was concluded by a casual dinner at the Huogongdian restaurant in Changsha. Chinese delicacies, sometimes a bit odd for a Swede, such as pig ears, jellyfish and turtle soup was offered to the group. 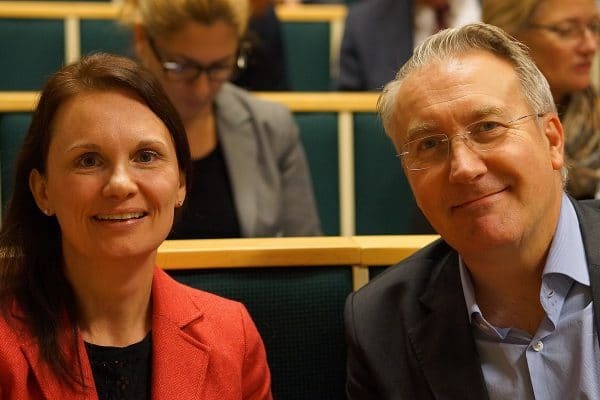 Altogether, the 2012 Executive MBA alumni trip proved to be a fruitful learning experience with great lectures and excellent networking opportunities. For more photos from the Executive MBA alumni trip 2012, visit our Facebook page.